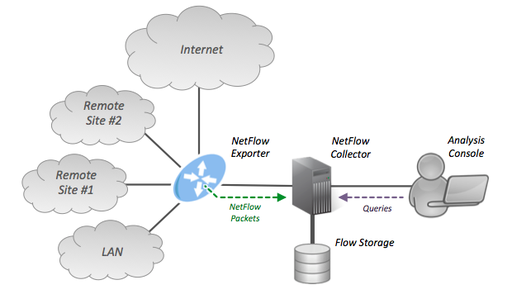 In this article we provide an “Overview NetFlow software tools” available on the market. This includes paid (commercial tools) and open source NetFlow tools. There are also free NetFlow tools that are used as a bait to link to a commercial tool. Remark: A lot of NetFlow monitoring software is limited (storage, retention, granularity and number of device / interfaces). The entry level systems provide a nice picture and also good information of a limited number of flows. Once you start using NetFlow, you will probably need more network visibility. You must be aware that there are several NetFlow versions en related network concepts that hook into NetFlow. For examble we have we have Cisco NetFlow v5, v9 and IPFIX, Flexible NetFlow and NBAR, sampled NetFlow (sFlow), jFlow and Netstream. It is important to select the right NetFlow analyzer to capture and analyse the data.